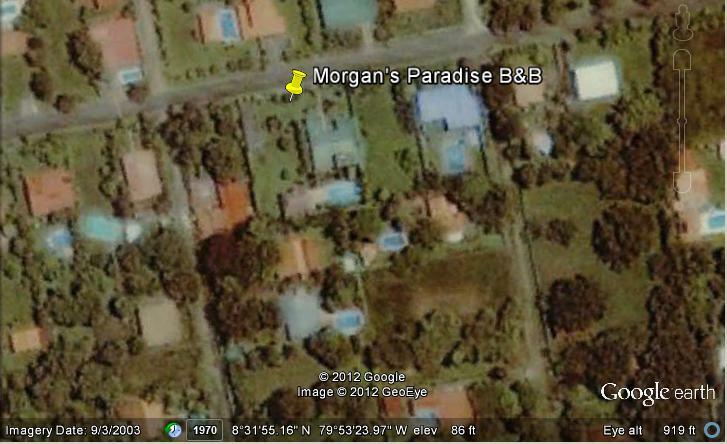 Using Google Earth you can see our close proximity to the beach. It’s about 1Km to walk to the closest beach access and takes about 12 minutes at an easy pace. Turn off the Pan American Hwy towards the main entrance of Coronado, you’ll see the McDonalds on that corner. Travel a couple of kilometers to the main gated entrance of Coronado. After the gate proceed on Ave. Roberto Eisenmann approximately 1.5 Km then turn left towards the Coronado Country Club. Picasso Pizzeria is on the corner. Our house is on the right side of the street just .5 Km after the turn.